A non-profit that puts families first. Pulse Center for Patient Safety Education & Advocacy is a non-profit organization that offers consultation and educational services to families and healthcare professionals on topics such as: patient safety, health communication, medication safety, and medical errors / unplanned outcomes. The organization—the only one of its kind in the United States—never formally adopted a brand or marketing presence, and what they have feels dated. Following an incredibly heartfelt initial consultation, the director asked us: How do you think you can help? We dove right in. 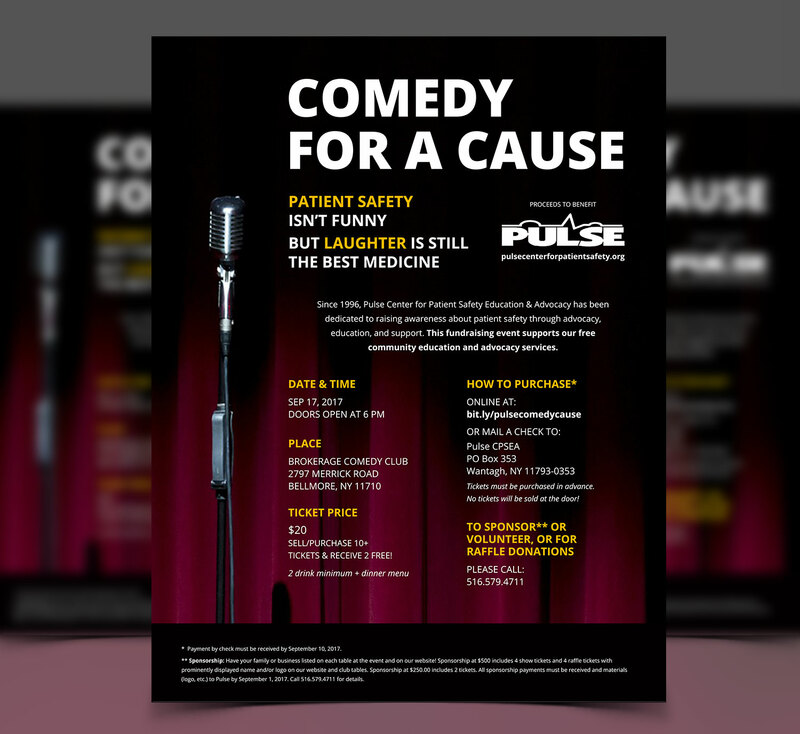 Their upcoming campaign initiative was an annual fundraiser in the form of a comedy show. As is typical, the director (a one-woman show with limited volunteer support) has been managing the website, social media, and any other outreach efforts. We offered to show her what a real marketing campaign could do for the response and professional look of this event. We recommended setting up an EventBrite to collect online sales as they’d always relied on check donations, and then assisted her with customizing the copy and providing a header graphic. 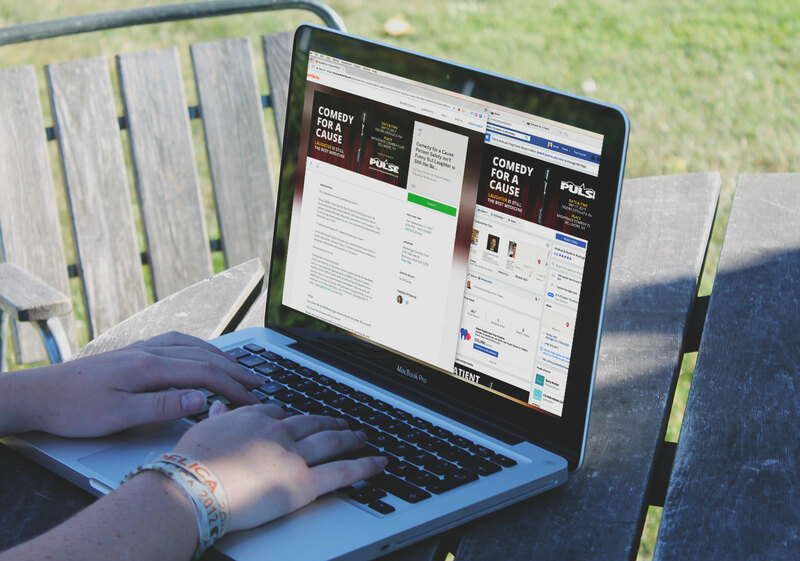 We designed corresponding graphics for her Facebook event, tailored the copy, designed a Facebook cover photo, and set up Twitter and Facebook posts to roll out prior to the event. We then created a flyer for her to distribute that contains all the details for the event. We also advised her on how to calendar her future outreach efforts to hit her audience with this new look and feel.